When one of Australia’s most prominent stylists launches a label, we sit up and listen. Why? Because after a career spanning over 10 years in the fashion industry, Marina Afonina knows her stuff. (Remember the Elle Australia story where Lara Worthington debuted her #BingleBob? That was Marina). So, what do we love about her new label, Albus Lumen? The clean lines, a neutral colour palette and timeless shapes mean these pieces will fill an empty gap in your closet—you’ll find a favourite that you never realised you were missing! Stylists are good like that—they know how to put together a perfect capsule wardrobe. All we know, is that spring is about to get a whole lot chicer. Keep scrolling to read our interview with Marina and shop our favourite pieces from her debut collection. 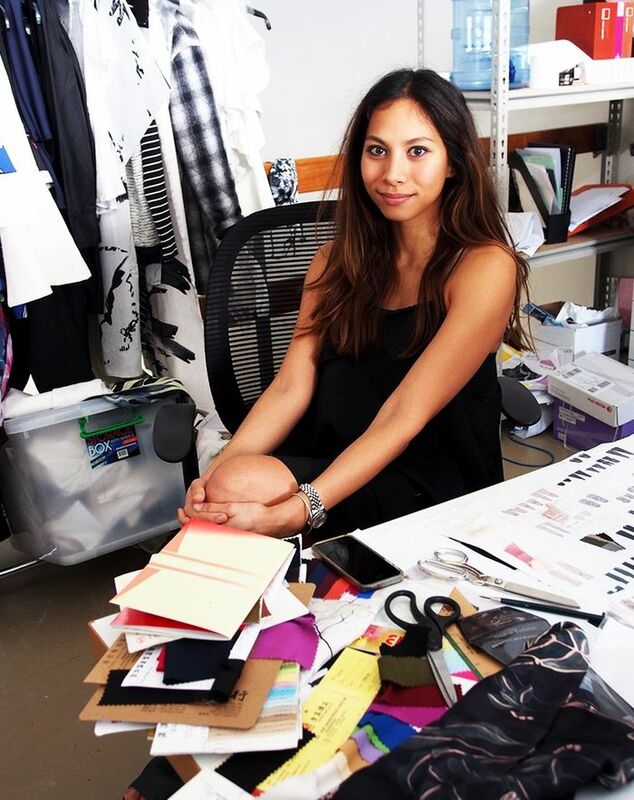 Who What Wear: What was the inspiration behind starting your own label? Marina Afonina: I was always interested in design since I was young, but was not ready until now. Being a stylist, you get to work and see everything in a market and I really felt there was a gap in resort wear. I went to Europe last year and found it very hard to find anything to wear which was simple and effortless and not too young. That’s how Albus Lumen came to life. The collection offers just simple, understated luxury pieces to suit any age and body type. WWW: What makes your label different? MA: I think it’s versatile and suitable for everyone. I wanted to create a simple collection which is wearable, comfortable and uses great fabrics. That’s why I went for an offering of silk linens and all natural fibers. WWW: Are there any other designers that you look to for inspiration? MA: For me it’s always been Nicolas Ghesquiere as an old favourite and J.W Anderson—very inspiring and fresh. WWW: Is there anyone you’d love to have on board as a collaborator? MA: It’s a bit early at this stage to be thinking about collaborations, but would love to have a shoe designer on board when the brand is ready. WWW: Who are some of the most memorable people you’ve styled or shoots you’ve worked on? MA: It’s hard to say as there have been so many, probably the latest was shooting Phoebe Tonkin for Sunday Style. She was lovely to work with. WWW: What are 3 of your favourite fashion moments in history? MA: Minimalism by Phoebe Philo at Celine, Alexander McQueen’s last collection Plato Atlantis S/S 10 was breathtaking and Yves Saint Laurent classic tuxedo shot by Helmut Newton. WWW: Who would you love to see wearing the brand? MA: I see the collection resonating well with anyone from 20 years old to 60. Style icons such as Lauren Hutton, Cate Blanchett and Lara Worthington. Ed's note: After we interviewed Marina, Lara shared a snap on Instagram wearing the brand. WWW: You work really closely with Lara Worthington—what’s it like when you get together? MA: I’ve known Lara for many years now, we started working together and became very close friends. Lara has a great sense of style and really understands fashion. She knows her body really well. We talk about everything really, motherhood, fashion, travel. WWW: Do you have any secret talents? MA: I love cooking for friends and family! Shop the collection over at Albus Lumen and let us know what your favourite pieces are in the comments!